BCHC joined health promotion practitioners, planners, faculty and students at PHABC’s annual summer school, July 23 – 26 at the University of Victoria. We delivered a session about the tools, resources, and funding available to support age-friendly communities, the Trust Us initiative, and the Age-Friendly Communities Recognition Award at the Recreation and Health: A BC Recreation and Parks Association (BCRPA) and PHABC Collaborative Workshop. Check out the related presentations, and tools and resources for recreation and health collaboration. 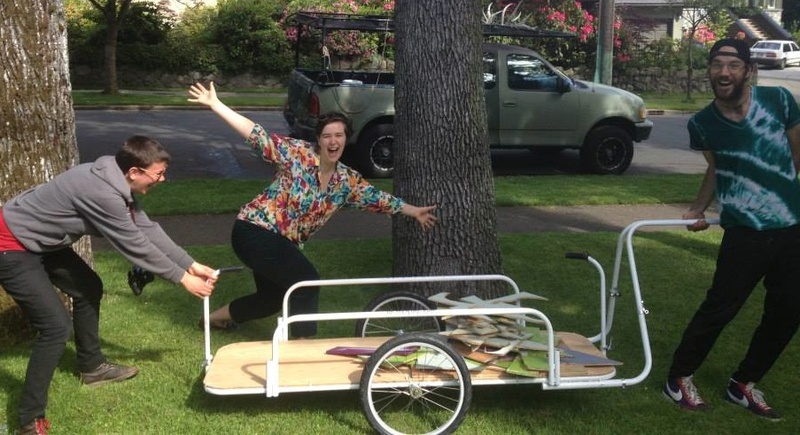 A bike-powered, mobile art gallery is about to transform Victoria’s streets and bikeways into a massive exhibition space. Featuring works by artists under 25 years old, the PedalBox Gallery offers youth an innovate platform for exhibiting their art, while demonstrating the artistic and environmental potential of a bike-powered gallery. The PedalBox Gallery will make its debut at the Integrate Arts Crawl’s ‘Play on Words Book Fair’ at the Greater Victoria Public Library Central Branch on Saturday, August 24, from 1:00 to 5:00 pm. The PedalBox Gallery is accepting applications from artists under the age of 25 to exhibit works of visual art, film, performance and literature. Successful applicants will receive support from the PedalBox team and a $125 budget to bring the project to life – and a unique opportunity to be a part of an artistic conversation about the environment. For more information about the PedalBox Gallery, or to apply to exhibit, please contact pedalbox@cvyc.net,pedalbox@cvyc.net or connect on Facebook. The Trust Us initiative fosters friendlier, safer communities where teens and seniors can learn from each other. This year, a group of teens and seniors came together to create intergenerational connections in the Gorge Tillicum neighbourhood. How do you see your future? Do you sometimes dream about what you’ll be doing when you’re older? Do imagine yourself travelling, spending time with friends or grandchildren, or enjoying your favourite past times? Have you thought about the steps you need to take to get there, and what you can do now to remain healthy and active? Many British Columbians are saving for retirement, but they aren’t considering additional ways they could be planning to enjoy a healthy, active older age. Some experts believe that investing in your social circle is the most important contribution you could make to enjoy a healthy life as you get older; others say that you can’t separate health, including your social connections, from your housing, finances or transportation. Planning for healthy aging involves looking at the various facets of your life and considering the steps to take now to have the best life later. The Ministry of Health has created Planning for Healthy Aging, a new section on SeniorsBC.ca that covers a range of topics and includes worksheets and questions to consider when planning for your future. 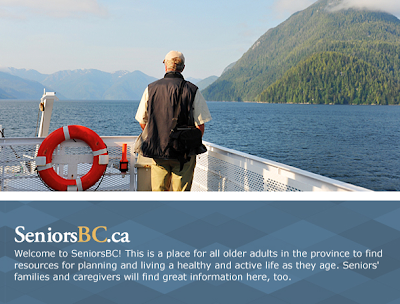 It also has links to additional materials to help you plan - such as tips on how to avoid falls, a Healthy Eating for Seniors handbook, My Voice, a guide to advance care planning, and the Age-friendly BC initiative. The webpages highlight the importance of continuous learning, the value of volunteer work, and the health benefits of both walking and engaging in your community to shape it into a place where you would want to grow old. The Ministry of Health has created Planning for Healthy Aging, a new section on SeniorsBC.ca that covers a range of topics and includes worksheets and questions to consider when planning for your future. It also has links to additional materials to help you plan - such as tips on how to avoid falls, a Healthy Eating for Seniors handbook, My Voice, a guide to advance care planning, and the Age-friendly BC initiative. The webpages highlight the importance of continuous learning, the value of volunteer work, and the health benefits of both walking and engaging in your community to shape it into a place where you would want to grow old. This new resource on SeniorsBC has been created to support you to plan and prepare for changes that may occur with age, to help you better cope with those changes, and to prevent the stress and associated health impacts of dealing with change in a crisis situation. Please contact Eve Millar at if you have any questions or feedback about the material posted. The webpages are a work in progress and Eve would love to hear about your suggestions for improvement. 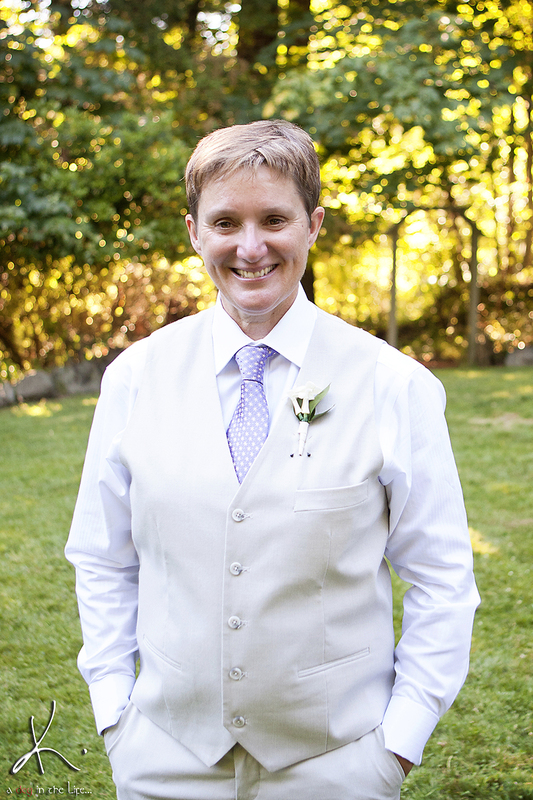 River founded TheatreWorks in 2004, bringing her theatre training and experience, her social work skills and her passion for social justice together to use theatre to work for community dialogue, empowerment, and change. In addition to her formal theatre background, River trained in Theatre for Living with Headlines Theatre, Vancouver, and partnered with the company in their national project Gimme the Keys: theatre about drinking, drugs and driving. Theatre for Living grew out of Augusto Boal’s Theatre of the Oppressed, and is a worldwide leading example of theatre for social change; theatre for dialogue creation and conflict resolution; and theatre for community healing and empowerment. Based in Victoria, River facilitates projects around the province, including workshops, conference keynotes, and audience-interactive productions to engage communities in creative dialogues through the medium of theatre. 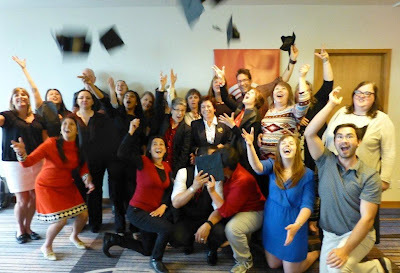 River works with schools, post-secondary institutions and not-for-profit organizations, and is honoured, as a white settler, to work with First Nations communities and education programs with First Nations and Aboriginal youth and adults. Previous projects addressed issues such as bullying, racism, substance use, protecting the coastline, and community inclusion. Upcoming projects include workshops at the Victoria YM-YWCA conference Power of Being a Girl in October 2013, and partnering with community organizations to host two Victoria performances of the BC/Alberta tour of Corporations in our Heads, a theatre project that investigates how the messages from corporations have colonized our individual and collective psyche and affect our relationships with each other, with ourselves, and with the planet in profound ways. I’m BCHC’s Program Manager and Facilitator, and I was lucky to participate in this year’s United Way Public Policy Institute. This six-month leadership training program supports the non-profit sector’s capacity to advance social change that leads to healthy, caring and inclusive communities. Offered by the United Way of the Lower Mainland, the program’s innovative cohort model allows a small group of leaders to convene for two days every month. We learned about how public policy is shaped and influenced, explored case studies on salient social issues, and applied learning to our own public policy projects. This training is designed to help non-profit leaders and their organizations increase their knowledge of the public policy process and their capacity to influence it. ‘Healthy public policy’ is one of the cornerstones of the healthy communities approach. Public policy is a reflection of our collective commitment to shape a desired future. It’s the compass that guides governance decisions in a democracy. As a result, public policy has a significant impact on the salient issues communities face such as poverty, chronic disease and obesity, climate change, and food security. I was impressed by the curriculum, but surprised at the complexity of the public policy process. The training covered the basics (e.g. the roles of evidence in the public policy process), but also addressed the nuances of how policy options are developed and analyzed, how to (successfully) engage decision-makers with a policy proposal, and how to evaluate results if your policy project is implemented. The program faculty are outstanding, and there is no doubt their ability to speak from direct experience provides rare insights from multiple perspectives—provincially elected officials, government bureaucrats, philanthropic foundations and non-profit leaders. Led by the Honourable Mike Harcourt, former premier of British Columbia, the faculty bring a wealth of real-life public policy experience, including useful (and sometimes entertaining!) anecdotes and stories from which we can extrapolate lessons learned. Learn more about the United Way Public Policy Institute and apply for the 2014 program by October 11 here. The Provincial Health Services Authority’s new interactive mapping tool displays population health indicators by local health area or school district. Developed by PHSA in partnership with the BC Ministry of Health, Vancouver Island Health Authority, BC Stats and DataBC, the BC Community Health Atlas allows users to easily create customizable geographic maps that visualize and compare patterns in health indicators by local health area or by school district. Find it here. Send questions or comments to pph@phsa.ca. What: We’re looking forward to meeting UBCM delegates at this half-day, face-to-face, marketplace-style session to share information about the tools, resources, and funding opportunities available for local governments. Along with other agencies, we’ll be on hand to talk about how local governments can increase capacity and undertake local planning, projects, and development. What: Local government folks, please visit us at the UBCM Convention Trade show to put faces to names and to catch up with our programs, partnerships, and new funding opportunities. What: This year's event features a half-day workshop hosted by BC Healthy Communities on Building Healthy Communities Through Multi-Stakeholder Engagement & Partnerships. For information check out the conference website. The CMA’s Health Care in Canada: What Makes us Sick (July, 2013) reports on Canadians’ views of the social determinants of health. 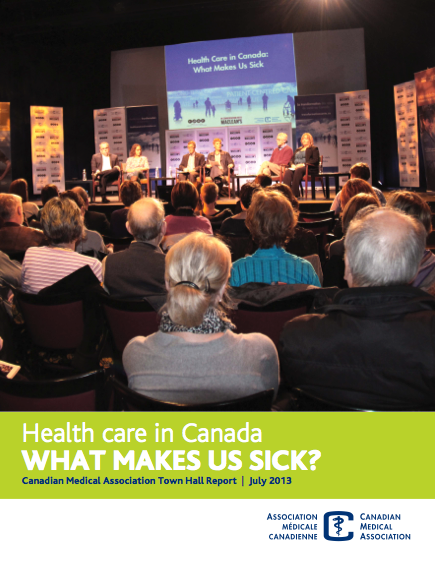 In a series of town-hall meetings and online consultations, Canadians identified poverty as the underlying theme behind factors that cause people to suffer poor health. "As a country we can do better in tackling issues around poverty, housing, early childhood development, food security and culture that can hinder a person’s chances to be healthy. There is no one sector responsible for making this happen. It has to be a joint effort, involving health care providers, governments, patients and Canadians from all backgrounds," said Dr. Anna Reid, CMA president. Get the the full report here.